Donald Trump responded in tweets on Saturday: “Congressman John Lewis should spend more time on fixing and helping his district, which is in horrible shape and falling apart (crime and unemployment rates are higher than national average) rather than falsely complaining about the election results. All talk, talk, talk – no action or results. Sad. Politicians, entertainers and others opted to attack Donald Trump in defence of the US civil rights campaigner! But Lewis had attacked Donald Trump (seeking to have him impeached for an unspecified and unproven offence) in his position a Democratic Party Senator and his US civil rights activities (which had no relevance to the election of Mr Trump) occurred nearly 50 years ago. The foregoing events should also be set against the conduct of Sir Jeremy Heywood and his cohort of Civil Servants, President Obama and his re-election team, David Cameron and the Tory party, the Labour party, the Liberal Democrat Party, the Better Together Campaign team, the Queen, Heads of State worldwide and many others roped into many unsavoury, despicable and downright dishonest plots against Scottish Independence. The content of this blog should be retained for reference in any future Scottish Independence Campaign. No-politician of any note came to the defence of Scotland at its time of need. Early 2014, the “No” camp lead narrowed and pro-union politicians prepared what they hoped would be a fatal blow to Salmond’s plans. In a conference room in Edinburgh on February 13 Chancellor Osborne ruled out a post-independence currency union thinking that he had exposed the biggest weakness in the SNP’s economic case – its claim Scotland would continue to use the pound. Osborne was backed by the leaders of all three main UK parties – and given unprecedented (illegal) public support by Sir Nicholas Macpherson, the Treasury’s top civil servant. The assault, delivered by a Conservative chancellor deeply unpopular in Scotland, had mixed results. The SNP dismissed it as bullying and bluff – and polls showed many voters in Scotland agreed. But Osborne insisted he was right and that a “No” vote would vindicate his strategy of highlighting the risks of independence. “It’s a No campaign, so of course it’s going to be negative,” the Chancellor said. Meanwhile the Yes campaign was developing into a grass-roots movement far more energetic and organic than “Better Together” could muster. SNP strategists were building on the databases and tactics that had delivered the 2011 landslide. Their strategy aimed to first persuade voters that Scotland could be independent, next that it should be, and finally that it must be. Still, Westminster was untroubled. Some months before, Cameron had dinner with a senior business figure. Of all the things in his prime ministerial in-tray, the business figure recalls Cameron saying, Scotland was “the least of his worries”. So Cameron and Osborne departed for their summer holidays in August 2014 in a confident mood. Osborne was heard to remark breezily to colleagues that he would “take 60-40” as a final result. Polling advice also suggested the “No” lead was solid and backed up his bold conviction that the “Better Together” focus on the drawbacks of independence rather than the benefits of union was working to stop wavering voters following their emotions and voting Yes. But public opinion was turning toward “Yes.” Some credited Salmond’s strong performance, in a second televised debate against Alistair Darling, former UK chancellor and Better Together leader. There he warded off challenges on currency and scathingly portrayed Darling as being “in bed with the Tories”, and the National Health Service as under threat from continued union. By the weekend of September 6-7 there was panic inside Number 10, while Cameron was obliged to leave London with a knot in his stomach to stay with the Queen at Balmoral. Douglas Alexander and Danny Alexander – the Treasury minister overseeing the Lib Dem campaign – reported that the momentum to “Yes” might become unstoppable and indeed a YouGov poll put the “Yes” side ahead. “We knew a poll was coming which would give the “Yes” side a lead – it turned out to be YouGov in the Sunday Times. We were at a point where we had to reframe the campaign,” Douglas Alexander said later. Frantic discussions took place over that weekend between “the two Alexanders” and Andrew Dunlop, who by now were the principal players in the fight to save the union. Dunlop hit the phones to try to corral a business onslaught, joined by Danny Alexander and Alistair Darling. By Wednesday a trickle of companies led by Shell and BP were speaking out; by Thursday there was a torrent. Cameron himself turned up the heat on business leaders to intervene in the debate, hosting a reception on September 8 in Downing St. “He left us in no doubt we should speak out,” said one chief executive who attended. The prime minister was also hitting the phones. “Those phone calls can be very persuasive,” said one business figure familiar with the operation. The result was a wave of business opposition to independence, with companies such as Aviva and Prudential coming out to bat on the prime minister’s behalf, although a few – including J Sainsbury, National Grid and Tesco – could not be persuaded. On the Thursday before the Referendum five Scottish-based banks were pressurised to say they would move their registered headquarters south if there was a “Yes” vote. But the orchestrated campaign also risked fuelling Scottish resentment of Westminster. Salmond loudly protested against Downing St “scaremongering” and blamed a hostile BBC for playing along. Even the Queen joined the fray, her media advisers orchestrating a “chance remark” to a churchgoer near Balmoral that Scottish voters should “think very carefully about the future”. Buckingham Palace said she was strictly neutral but royal watchers had little doubt about the Queen’s concerns about the breakdown of the union, despite Salmond saying he looked forward to her becoming Queen of Scots. The fightback also had a new public face: Gordon Brown. The former Labour prime minister had been on the fringes of the “No” campaign for months, but his refusal to work with the Tories and tense relations with Alistair Darling, meant that he often operated alone. 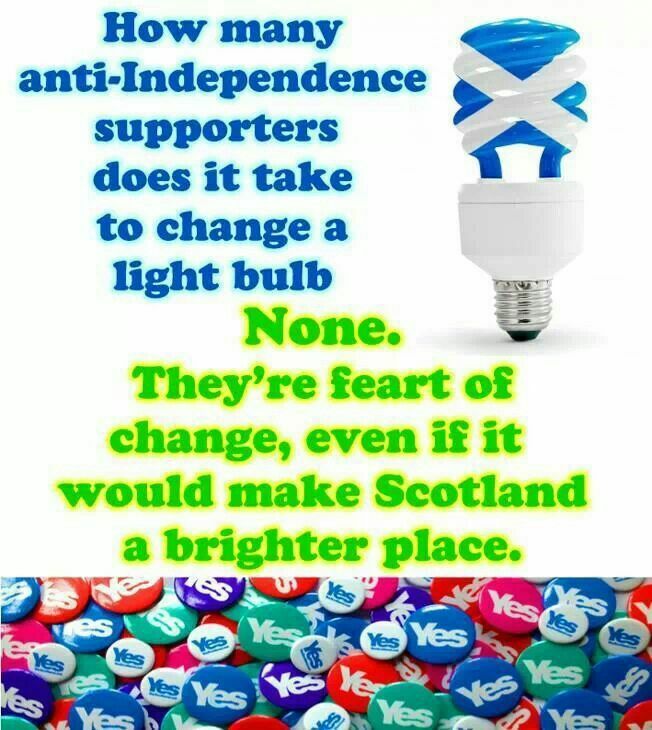 Now he was brought centre stage, making the “positive case” for a “No” vote: promising a swift transfer of new powers to the Scottish parliament to demonstrate to wavering Labour voters that a No vote did not mean “no change”. 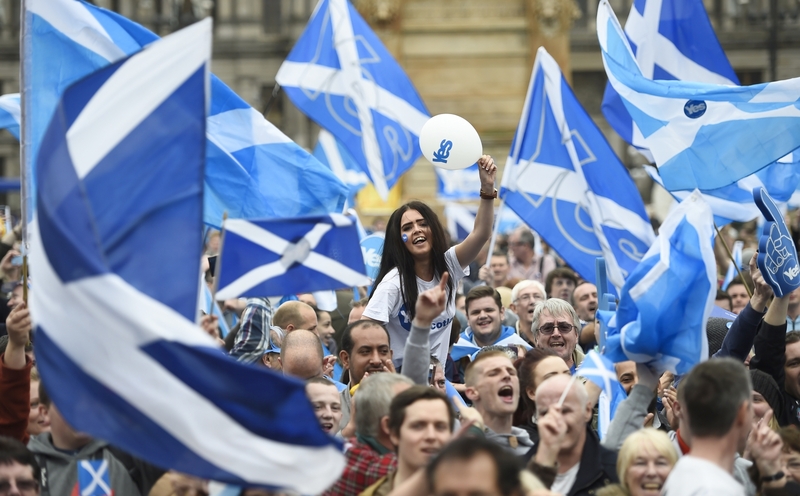 The combination of economic scare stories and promises of future power seemed to work, while it proved harder than independence campaigners had hoped to mobilise the disaffected urban population. By the last days of the campaign, pro-union leaders were increasingly confident they could hold the line. On Friday morning they were shown to be right. The victory when it came was clear. But by voting for independence, 1.6m Scots graphically demonstrated the depth of popular discontent with Westminster rule. For pro-union politicians the two-year campaign race ended not in a triumphant last lap but a panicky late sprint over the winning line. This was far from the emphatic reaffirmation of union they had expected. The UK Treasury stands accused of running a, “political dirty tricks department” spinning against Scottish independence, after it emerged sensitive information about Royal Bank of Scotland plans to leave the country in the event of a “Yes” vote was leaked by a civil servant in charge of, “referendum communications” within the department. The email, sent to journalists the week before the referendum, stated RBS had plans to move its base to London in the event of independence, triggering headlines viewed as a blow to the “Yes” campaign. But the memo had been circulated whilst the matter was still being discussed by the RBS board at a closed meeting, and many hours before the bank had made a statement to the financial markets A severe breach of stock market trading rules. First Minister Alex Salmond demanded a criminal investigation into the matter, while Edinburgh financier and Independent Midlothian councillor Peter de Vink, an RBS shareholder, also asked the Financial Conduct Authority (FCA) and police to investigate. The Sunday Herald obtained a copy of the email, which showed it was sent by a civil servant the head of Scottish Referendum Communications at the Treasury. City of London Police were tasked to investigate the complaint by de Vink and were in the process of contacting, “relevant individuals and organizations”. SNP Treasury spokesman Stewart Hosie MP said the fact the email had been sent by the head of Scottish Referendum Communications was an, “extraordinary revelation”. He added “The previous claims by the Cabinet Secretary (Sir Jeremy Heywood) that the Treasury was, “promoting financial stability” in revealing RBS plans has been totally blown apart by the revelation that it was actually a pro-active email from an official in a so-called, “Scottish Referendum unit” and released while the RBS board was still in session. The London Treasury employed and deployed civil servants in a political dirty tricks department which operated throughout the referendum campaign. The Treasury email was sent to journalists at 10.16pm on September 10, around 25 minutes before the RBS board meeting on the issue had finished. It contained a response to a statement issued by Lloyds Banking Group which stated it had contingency plans to establish “new legal entities” in England in the event of a “Yes” vote. But it also contained a quote from a “Treasury source” which said: “As you would expect, RBS have also been in touch with us and have similar plans to base themselves in London.” The following day, RBS issued a statement to the markets which confirmed its intention to, “re-domicile” in the event of a Yes vote, but added it would intend to retain a, “significant level of its operations and employment in Scotland”. Heywood, head of the civil service, subsequently rejected demands by Salmond that the matter be investigated. He stated the Treasury email had been issued following a newspaper report, which quoted an RBS source as stating that the bank would follow Lloyds in its plans to move its registered HQ out of Scotland in the event of a Yes vote. Salmond subsequently wrote to the head of the FCA, the Chief Constable of Police Scotland, and the Commissioner of Police for the City of London urging action over the alleged leaking of market-sensitive information. He stated the grounds for his belief a criminal offence may have been committed, including that decisions of such a substantial nature should be a matter for the bank to report “openly and transparently” to markets; and that there had been improper disclosure of market-sensitive information, which is “tantamount to insider dealing”. He also raised concerns the action by the Treasury would have potentially created uncertainty if its information had differed from the position taken by the RBS board when its meeting had concluded. The Sunday Herald asked the FCA if the complaints were being investigated. A spokeswoman said it was unable to comment on individual complaints. A spokesman for City of London Police confirmed it had received the letter from de Vink and added: “We are now speaking to the relevant individuals and organisations.” The Treasury claimed the person who sent the email was a “junior civil servant”, despite his position as head of Scottish Referendum Communications. Jim McKay commented. Heywood stated the Treasury email had been issued following a newspaper report, which quoted an RBS source. He must have reference for that report? Newspaper, date and edition. And what RBS source? Smoke and mirrors. He’s lying. Shannon Cochrane; “we’ve learned that it is possible for civil servants to work on things that are inherently political and quite difficult, and you’re very close to the line of what is appropriate, but it’s possible to find your way through and to make a difference. Comment; Any mention of the team members in the New Year honours list would be the ultimate kick in the teeth. Civil Servants are supposed to be strictly apolitical and deployment to duties such as described is illegal. But Sir Jeremy Heywood simply ignores the rules and does as he wishes without challenge. President Obama and New Labour Media Campaigns Contractors “Blue State Digital” Awarded Exclusive Media Strategy Contract by “Better Together. “A full-service new media agency, Blue State Digital develops and executes multi-platform digital marketing and online engagement campaigns for non-profit and advocacy organizations, political candidates, causes, brands and businesses. Our work inspires and mobilizes people, increases revenue, and cements lasting support and loyalty.” A Company insider quote; “Future elections will be won not because the candidate was anointed by a powerful party, but because he or she was best at using a Web and new-media strategy to rally the masses.” Just who are these guys? What about the New Labour link? Previous Previous post: Israeli Missile Attack on Syria – Another Twist in the On-Going Battles Reshaping the Middle East – And Russia Confirms Plans to Establish and expand a permanent presence in Syria.